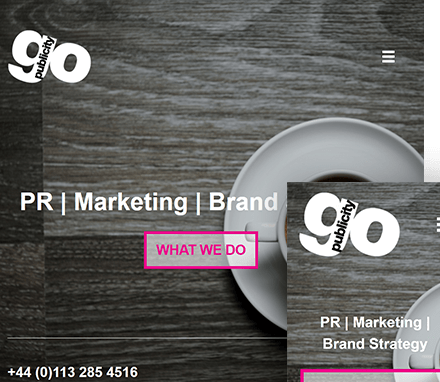 Go Publicity are a highly successful PR & Marketing company who turn brand strategy and innovative creative ideas into highly successful campaigns. They have built a reputation from delivering great results, specialising in the Property & Construction, Facilities Management, Food & Drink and Health & Fitness. They previously had a very simple, single page website and required a new site to enhance their online presence. Air Websites offered Go Publicity the perfect solution for busy business owners who don’t want the inconvenience of sitting for hours in front of a computer. They chose our aesthetically beautiful ‘Knife & Fork’ design along with our ‘Up & Running’ package. The site details what they do as well as testimonials from their happy clients.